Should I Accept an Settlement After an Auto Accident in Camden, SC? The days and weeks following a car accident in Camden, SC, can be some of the most difficult of your life. This is especially true if the injuries you suffered in the auto accident have left you unable to work. Taking time off from work after a car accident – even when you are a full-time employee with benefits – can put you in a challenging financial situation. Not sure if you should agree to a car accident settlement? Contact an experienced auto accident lawyer at the Connell Law Firm today! For many people, financial concerns are the primary reason they rush into an auto accident settlement. After all, if an insurance company is offering you a chunk of money to settle and move on after your auto accident, isn’t that a good decision if you’re struggling financially? The answer in nearly every case such as this is “no.” Rushing into a settlement is rarely a good idea and can be the worst mistake of your life. As a Camden, SC, car accident victim, you are entitled to lost wages, which is compensation for the time you have missed from work because of your injuries. And in most cases, you will not need to wait until your case has ended to receive lost wage payments. This means you can get money almost immediately that is intended to supplement whatever income you’ve missed out on because of the auto accident. An experienced auto accident lawyer can help you determine what you are owed and assist you in collecting damages and lost wages as soon as possible. 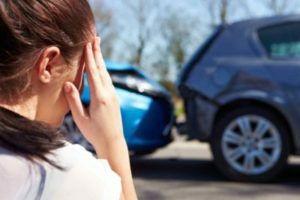 In addition to the financial crunch, you might feel following an accident, there are many other reasons accident victims might choose to settle. Many people are eager to put the incident behind them. Others are intimidated by insurance companies. Still, others don’t want to deal with the frustration and time-consuming nature of the court. All of these reasons for settling are understandable, but they are rarely in your best interest. Don’t get us wrong – there are definitely times when a settlement is your best option. Most auto accident cases are settled outside of court. The trick to having a successful settlement is knowing when to settle. Timing – and knowing what your case is worth – are both important factors when it comes to settling. Before deciding to take a settlement, it’s important to understand your situation. Obviously, you know what happened and what the results were of your accident. You’ve been injured, inconvenienced, and traumatized. However, there are a number of other factors at play when it comes to understanding your case and knowing what it is worth. First and foremost, you must realize that the insurance companies are not out to protect your best interest. Your insurance company will provide you with the coverage you’ve paid for, but the insurance companies representing anyone else involved in the accident are there to protect their bottom line. They want to pay you as little as possible, regardless of your injuries and regardless of what is fair or just. Whatever settlement they initially offer you is far less than what your case is worth. Never fall for a seemingly sympathetic offer from the insurance company – whatever you are being offered is a fraction of what you deserve. The best way to know when to settle is to work with an experienced attorney. He or she will be familiar with the “going rate” for cases such as yours and will be able to help you negotiate for the amount you deserve. Having an auto accident attorney on your side also lets the insurance company know you are serious about defending your case and receiving the compensation you deserve after a car accident. By law, you are entitled to compensation for all losses related to an accident that was not your fault, including all of your medical expenses – including those that could arise in the future – and any lost income and pain and suffering. It is important to know the full extent of damages from the accident and to work with people who can provide expert opinions regarding your injuries. Your Camden, SC, auto accident lawyer will help you build a strong case that ensures you receive all the compensation you deserve. It is within your rights to negotiate the best settlement possible following a car accident. Most insurance companies offer a low-ball settlement hoping that a victim is desperate or uneducated enough to accept. Too many people are cheated out of money they deserve because they accept the insurance company’s initial offer. It’s also important to make sure you understand the full extent of your injuries before accepting an offer or even discussing an offer with an insurance company. The most important thing you can do if you are contacted by the insurance company is to refer them to your auto accident attorney. This is because you might say something, unintentionally, that will hurt your case. Insurance companies are trying to take advantage of you, and they will record conversations or trick you into saying things they can later use against you. You are better off allowing an experienced auto accident attorney do the talking for you to protect your rights. Even if you have been in a car accident before, you should not assume this time around is going to be the same. Maybe you have experience dealing with insurance companies, or maybe you’ve negotiated a settlement in the past that worked in your favor. It is a mistake to assume that everything is going to run as smoothly or even be similar to previous cases. Your single experience is just a small look into how insurance companies operate, and you want someone in your corner who is familiar with all the tricks of the game. The best thing you can do after a car accident is take your situation seriously enough to hire a skilled auto accident attorney who is experienced in auto accident law. We can help. For more information or to schedule a consultation, contact the Connell Law Firm at 803.310.5700.